Size: 5bedrooms, 3,500+ sq ft.
"The Stables" is a simply stunning barn conversion using only the highest quality materials with the intention of giving any discerning purchaser a chance to own something special. Approached via a long sweeping driveway set behind wrought iron gates and standing at the top of a hill, this lovely family home boasts far reaching views across rolling countryside. 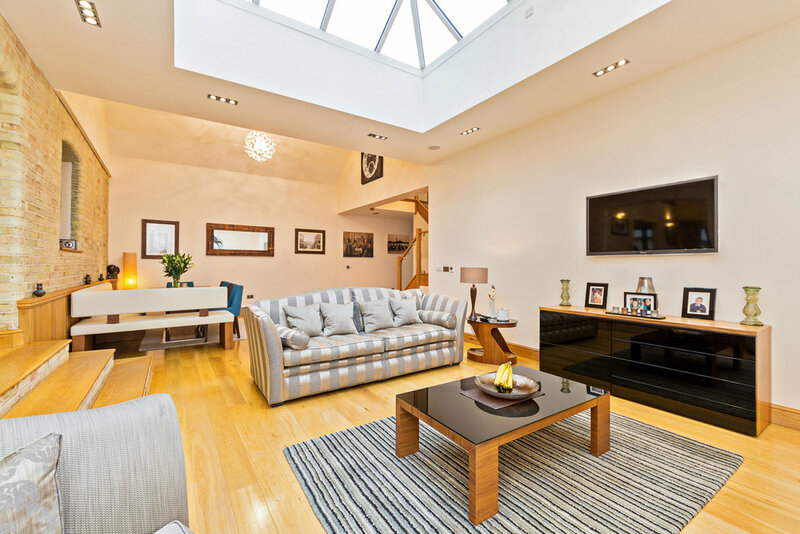 The internal space is both light and spacious, with the ground floor accommodation incorporating separate reception rooms as well as very grand Kitchen/Dining/Family room with vaulted glass ceiling, ideal for the busy family as well providing for a stunning entertaining area. The kitchen/breakfast room is of italian descent and incorporates granite and quartz work surfaces, large American style Fidge/Freezer, integrated Neff appliances and Blanco sinks. To the first floor is a spacious and vaulted master suite with lots of glass allowing the purchaser to take in those wonderful views and an en suite. The second bedroom is also vaulted, with exposed beams and a further en suite. There are two further bedrooms and a family bathroom to this floor. Externally, the rear gardens are mainly laid to lawn and open to countryside with a paved patio area. There is also an opportunity to purchase further gardens subject to availability and should the buyer desire. To the front of the property, there is a barn style car port for two cars and private parking for a further two vehicles.